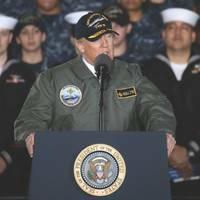 It’s still too early to know for certain what the new administration will do about building up the U.S. Navy, as the numbers are a moving target. 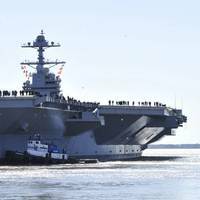 But with President Trump’s recent pledge to add $54 billion to defense spending, it’s a safe bet to make that the fleet will grow. So let’s start with the numbers. There are different ways to count the fleet size, including whether or not you count auxiliaries, but let’s use this number as the baseline: There are 274 ships in the U.S. Navy now. The House Armed Services Committee (HASC) invited two U.S. Naval War College (NWC) faculty members to testify in Washington, D.C. on understanding and countering China's growing maritime concerns. Erickson's testimony centered on China's growing involvement of their Maritime Militia, which he describes as the third maritime force in addition to the nation's navy and coast guard. The Maritime Militia is a civilian force posing as fishing boats and other noncombatants but is clearly under the operational control of the government, according to Erickson. China could eventually deploy radar and missile systems on outposts it is building in the South China Sea that could be used to enforce an exclusion zone over the disputed territory, the U.S. military commander for Asia said on Wednesday. 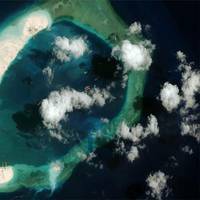 Admiral Samuel Locklear, speaking at a congressional hearing in Washington, described as "aggressive" the land reclamation and construction projects China has been conducting at eight military outposts in the South China Sea. The work involved "fairly massive" reclamation in the Spratley archipelago and upgrades to facilities in the Paracel Islands, he said. The building in the Spratleys included better berthing space for ships, as well as what was presumed to be an airfield on the Fiery Cross Reef, Locklear, head of the U.S. The board of directors of General Dynamics has elected Rudy deLeon to be a director of the corporation, effective September 30, 2014. DeLeon is a senior fellow with the Center for American Progress, a position he has held since November 2007. He began his career with the federal government, where he served for 25 years until 2001. In his final position as deputy secretary of defense, he was the chief operating officer at the Pentagon, a member of the Deputies Committee of the National Security Council and a member of the National Partnership Council. 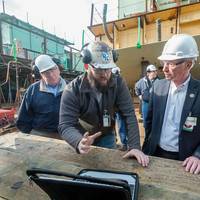 "Commonly referred to as the 30-year shipbuilding plan, we have highlighted a path forward that captures the required number of ships by type, as outlined in the FY12 Force Structure Assessment (FSA). Our FSA identified those forces that most efficiently execute the missions and priorities of the Department of Defense (DoD) Defense Strategic Guidance (DSG) and meets requirements in the 2014 Quadrennial Defense Review. This report builds and maintains a battle force inventory of near or above 300 ships, and ultimately shows that we can achieve the FSA objective of 306 battle force ships. Reuters – Chief of Naval Operations Admiral Jonathan Greenert told reporters late on Monday that the Navy would have no choice but to curtail funding for a planned refueling of the nuclear-powered USS George Washington aircraft carrier if sharp cuts in military spending remained in effect for 2016 and beyond. 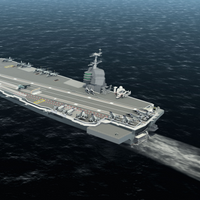 Such a decision, he said, would have a big impact on the shipbuilding industrial base, noting that the refueling involved several hundred thousand man-days of work, and could affect the ability of carrier building Huntington Ingalls Industries Inc to build the next aircraft carrier. 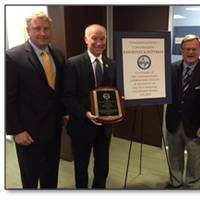 US Congressman meets with Skye Maritime to learn of factors inhibiting US private maritime security businesses. 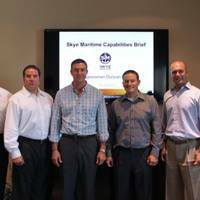 Congressman Duncan Hunter (R-CA), a Marine combat veteran and member for the House Armed Services Committee, met with senior executives at Skye Maritime, a California based, veteran owned and operated private maritime security company today to discuss the challenges facing U.S maritime security firms. "Congressman Hunter is concerned about the rising threat of Somali piracy and cut straight to the issues at hand. He wanted to know what challenges we face and how he could help – he wanted to understand the nuts and bolts of how we operate our business," said Mike Slattery, CEO and Co-Founder of Skye Maritime. 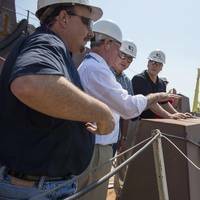 Speaking at awards ceremonies recently at the United States Naval Memorial in Washington, D.C., senior officers and civilian officials said new energy initiatives will reduce defense spending without sacrificing capabilities. 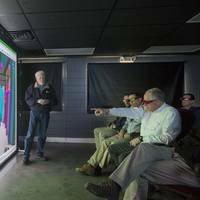 “Taking the long view is really important,” said Monica Medina, a special assistant to Defense Secretary Leon Panetta responsible for energy and environmental matters. Cutting costs and increasing efficiencies through environmental and energy programs is a priority in the secretary’s office and for the Navy, she said. Her comments came after Senate and House committees voted in May against the Navy’s biofuel plans. “The Administration has certainly insisted on transparency when it involves divulging our interrogation techniques to alleged terrorists, but has refused to apply the same standard for the American people when it comes to the readiness of our nation’s defenses. In a move the Washington Post described as ‘unprecedented secrecy,’ Defense Secretary Robert Gates recently instituted a gag order requiring hundreds of Pentagon officials involved in the budget process to sign a non-disclosure agreement barring them from discussing any proposed cuts or expenditures even to members of congress. These were the very individuals who had the expertise necessary to assess any potential damage to national security such cuts could present.